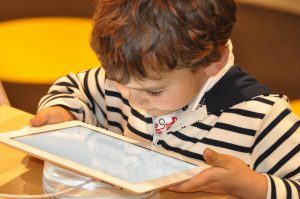 Mobile computing is proving to be empowering for people of all ages and abilities, from young children to the elderly. That’s because of the move towards “NUIs,” or “natural user interfaces.” These are interfaces like touch screens, speech recognition, camera input, and haptic output (when the device touches you, as in Apple Watch notifications). This trend, along with the accessibility features of mobile devices is making computing easier for everyone. In this webinar, you’ll see examples of how people use these features. Touch: Touchscreens and multi-touch gestures, haptic interfaces, force touch, and 3D touch. Sight: Camera as seeing eye, camera as scanner, and augmented reality. We’ll look at examples of people with blindness, motor impairments, and autism spectrum disorder in order to understand how these devices are improving their lives. In addition, we’ll look at how these features can make computing easier for anyone, not just those with recognized disabilities. You will understand how improving services for those with particular disabilities offers benefits for everyone. You’ll have a list of the best resources for learning more, including best apps, books, articles, and websites. You’ll be inspired to create guides and offer workshops on these topics so that your users can benefit. You’ll have a good foundation for becoming an advisor to your community about how to use these mobile technologies in the most effective ways. Nicole Hennig is an expert in mobile technologies for libraries. In her 14 years of experience at the MIT Libraries, she won awards for innovation and worked to keep academics up to date with the best mobile technologies. Now she has her own business helping librarians stay current with new technologies. She is the author of several books, including Keeping Up with Emerging Technologies, and Apps for Librarians. Like most librarians, she is passionate about access to information for all. Librarians who take her courses are becoming technology experts for their communities. To stay current with the best mobile technologies, sign up for her email newsletter, Mobile Apps News, and follow her on twitter @nic221, where she tweets about libraries, apps, and emerging technologies.